Paris is a musical city. One of the stand-out impressions for me was the music being played live all other the place. So! Here are three videos of musicians entertaining all over Paris. On the steps of the Sacré-Coeur, a harpist playing the French classic La Vie en Rose …. Musicians randomly jump on trains in the metro system, play a quick song or two, and jump off again in a few stops. Their music is always lively, and I especially like these two guys playing guitar and accordion. I didn’t get any video – the audio is set to some of my pictures of the Parisian Metro. This guy was also playing on the steps of the Sacré-Coeur. It’s a popular place for impromptu music because soooo many tourists are in the area. During our field study trip focusing on institutions of the European Union, my study abroad program offered the chance to explore the Palace of Versailles near Paris. In Part I, I shared some photos of the grounds and architecture outside. Now, here’s some photos from inside the Palace! …and even to the ceilings! We went on a Saturday, and the Palace was jam-packed with people eager to see the famous home of the 17th-18th century French royal family. 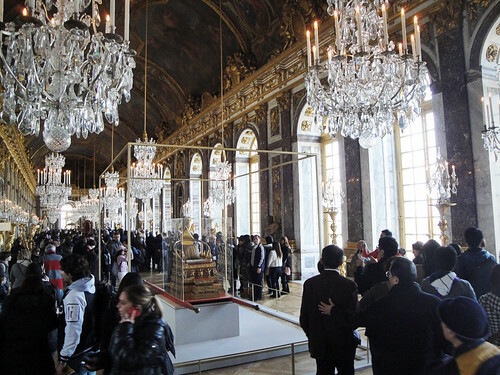 It was especially crowded in the renowned Hall of Mirrors, where the Treaty of Versailles was signed, ending World War I. 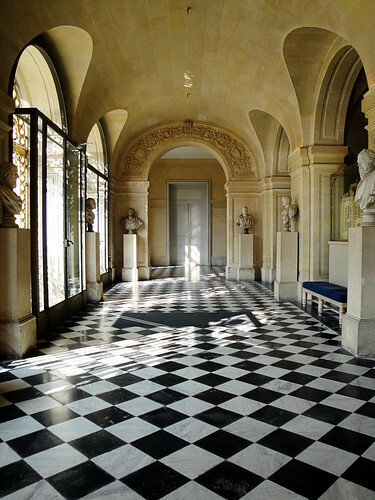 In the Hall, one long wall is full of towering windows which each directly face a mirror, so that all the reflecting sunlight makes this room seem the brightest and most open…. The Hall of Mirrors is soooo fancy that it makes other parts of the Palace seem tame! 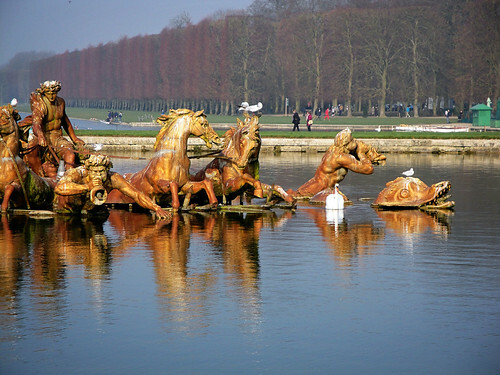 Getting the chance to walk around inside and outside at Versailles was a great opportunity. 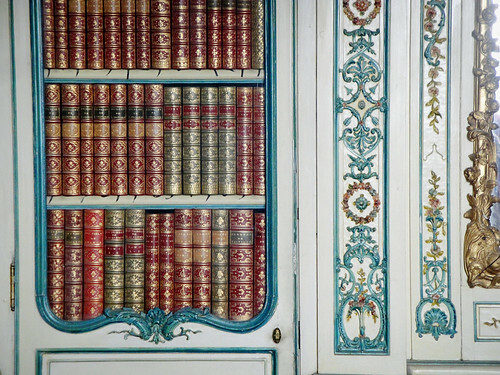 There was something there for everyone – history, art, landscaping, gardens, architecture, design…. It’s a one-of-a-kind place! During our field study trip to Paris, my study abroad program provided an optional excursion to Versailles (just like the optional trip to the Swiss Alps) to see the famous Palace that served as the seat of political power in France for about 100 years in the 17th-18th century. 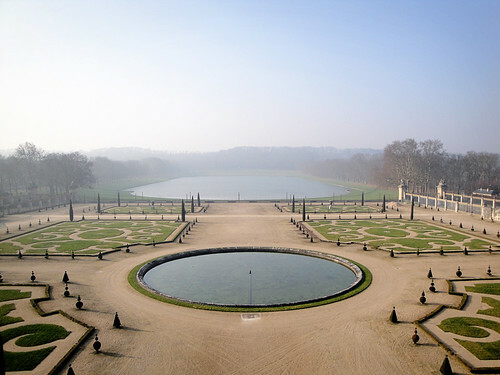 The Palace of Versailles is enormous. 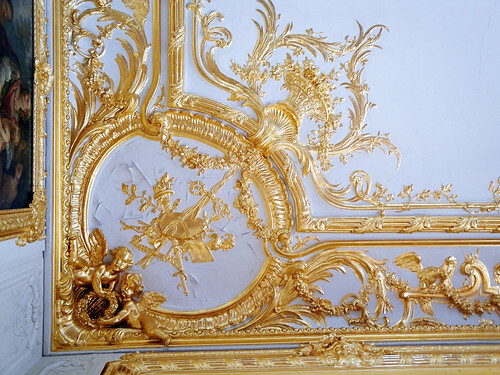 It features vast gardens, lavish decor, gold leaf everywhere, and extremely detailed interior and exterior architecture. 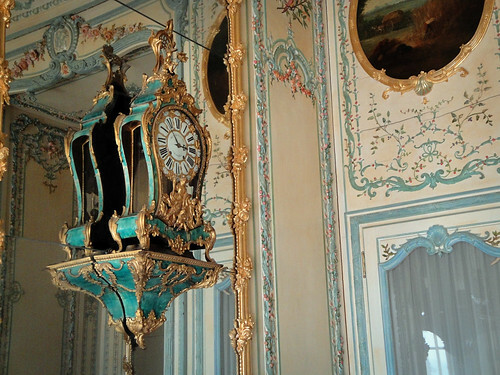 The size and decadence of the place is overwhelming and pretty in the embellished, extravagant way. 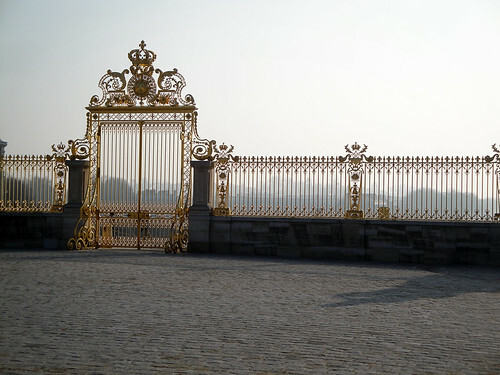 Your first entry into the Palace is marked by a long, gilded gate…. I loved the endlessness and simple lines of the landscape. 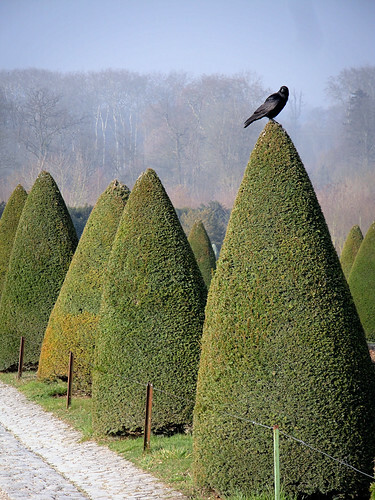 It was a cold day during our visit, but I bet this garden is even more breathtaking in the springtime…. 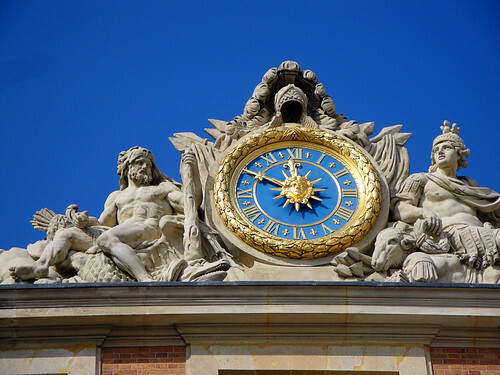 I noticed a lot of clocks around Versailles as well, both inside and outside. 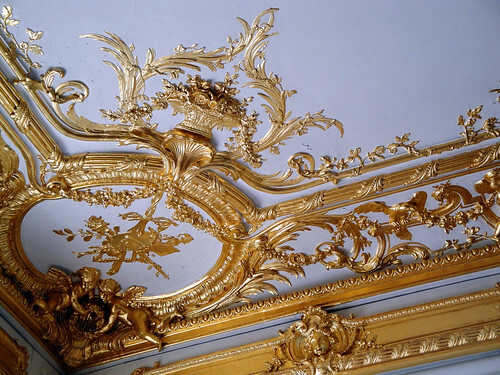 They make a great architectural detail…. In part II, I’ll share some photos from inside the Palace!